I sit and watch my teen daughter as she excitedly tells me something new she has learned in God’s word. Her joy is contagious. She walks in truth and loves the Word of God. This is what it looks like to have the Word deeply rooted within her heart. I see it in her life as she navigates friendships – both with believers and unbelievers alike. I see it in her respect and honor towards my husband and me. I see it in her interactions and care for her two younger siblings. How on earth did I do this? This certainly is not the picture of my childhood or youth! So, where did this come from? How did it happen? 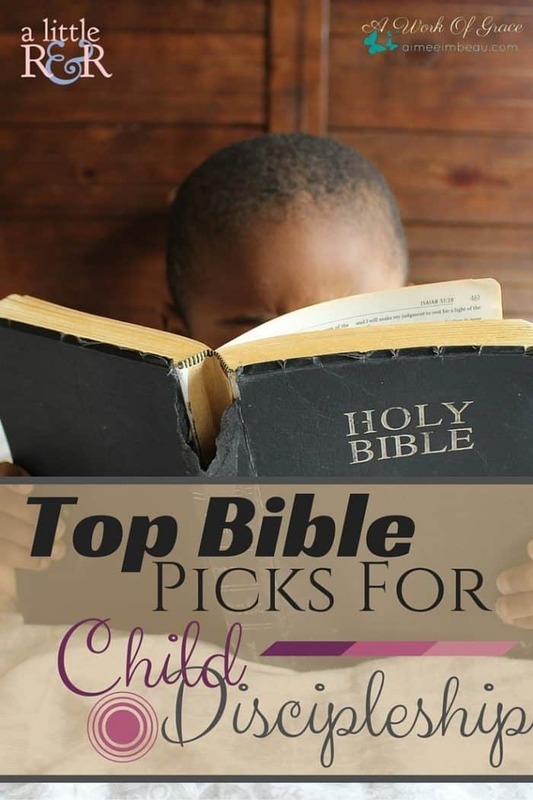 Today, I’d like to share with you my family’s Top Bible Picks For Child Discipleship. This didn’t happen in a few weeks or even a few months. I started character training when my oldest was very young. I never believed the lie that kids don’t understand. Sure, I had to simplify the words I used, but she ‘got it’ all the same. Learning God’s word, understanding it and falling in love with it is pivotal in training our kids up in the Lord. Here is what we used to help foster the greatest commandment from Jesus. This is a great little devotional book. I didn’t use it until my youngest started school, but I wish I’d had it with my older two. My daughter enjoyed just sitting with me while I read the lesson. We would talk about the discussion questions and read the verse as well. It was a wonderful mommy/daughter time. Leading Little Ones To God by Marian M. Schoolland. My kids LOVE hearing me read this series to them. We believe teaches foundational doctrine in a way that is engaging and interesting. 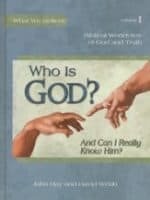 The first book goes through the character of God, how to know what is true, the Trinity, sin and more. The 2nd book addresses why we are here, living for God and it discusses other religions with respect – but also demonstrates why Jesus is the Way, the Truth and the Life. The 3rd text digs into what God expects us to do, making a difference and who our neighbor is. The 4th, and last book talks about stewardship, where our treasure ought to be and whose life are we living. 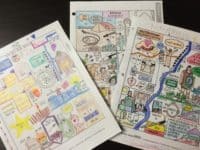 Each book has relatable stories that are fictional, but are based upon historical events such as World War 2 and the War of Independence (and for this Canadian girl, it was a fascinating history lesson!). My girls enjoyed coloring in the coloring books that are also available for purchase. They would color quietly while I read. OK, I love anything from Kim. I have used so many of her products that I can’t pick just one! She often has sales, so be sure to keep checking back – better yet, sign up for her newsletter to get notifications. Hymn studies are great for holidays like Thanksgiving and Valentine’s Day. A beautiful way to celebrate Thanksgiving, Christmas, Valentine’s Day and Easter. A Content Heart teaches children to be content with what they have. My two youngest kids thoroughly enjoyed this curriculum and their hearts were blessed as they thought of ways to be generous and to give. There are so many resources on Kim’s site! I plan to get To Every Nation, Foundations of Faith and Developing A Quiet Time during the big sale! I just absolutely LOVE Kim’s products and so do my kids. She also has this fantastic breakfast station idea that is fabulous for maintaining healthy breakfasts for the kids (and for mom!). My children learned how to do inductive Bible Study because of Kay Arthur! They have learned to dig deeply into God’s word through these studies. They have grown to love Bible heroes like Daniel and Esther because of their study of these books. 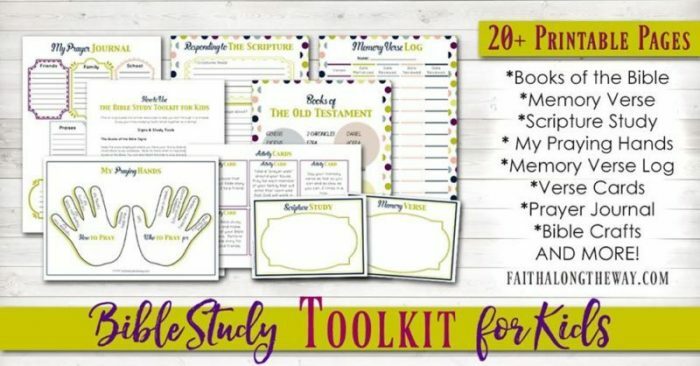 Pam Forster of Doorposts has fabulous Bible teaching resources. My kids struggled with lying (ok, who hasn’t?). So, I used For Instruction In Righteousness to correct them. God’s word is as sharp as a double-edged sword, so why not use it to convict and soften the heart, to bring them to repentance and gain a deeper understanding of what Christ did for them on the Cross? I remember my son reading the verses about lying and its consequences. With tears streaming down his cheeks, he repented and turned away from his sin. The Holy Spirit was at work and his heart was changed. 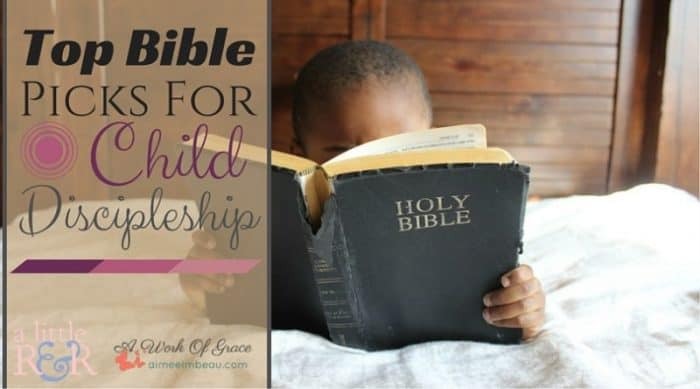 Pam also has fantastic and FREE Bible studies for us moms on her blog. I have gone through several of these studies and I have grown and learned so much. Each lesson she writes has a portion that is specifically for the kids. I plan to begin implementing this into our family Bible study time in the fall. It is good to talk about God’s word together as a family! This study is for older kids. My oldest daughter has been reading it this year and she just raves about it. She has learned so much from this study. I have seen how God used this book to deeply root His word into her heart. For example, she was brought to a deeper understanding of The fall when she read about Eve adding to God’s command, and in turn, she also took something away from the Word, making God out to be more demanding than He truly is. Adding and taking away from Gods word is a tactic Satan uses to bring confusion about God. The Stranger on the Road to Emmaus goes through the Bible in a chronological order, knitting together each story and each “major player”. The author shows the gospel message that is hidden through God’s word. The interactive edition has a DVD to watch as well! The workbook that accompanies the book is easy to work through. The Picture Smart Bible program is a fantastic way to go through the Bible from beginning to end with your children! The teacher’s manual goes through each book of the Bible as a “Cole’s Notes” version and it gives the references for you to read to your kids or the kids can take turns looking up sand reading out loud. The manual instructs what parts to color and what colors to use if necessary. I like that there is a junior version as well as one for older kids (and adults!). I have enjoyed joining my kids in the coloring pages. It allows all of us to reflect and meditate on the story in God’s word. You can get the Old Testament or the New Testament – or BOTH! The website has free samples for you to download and try out before buying. 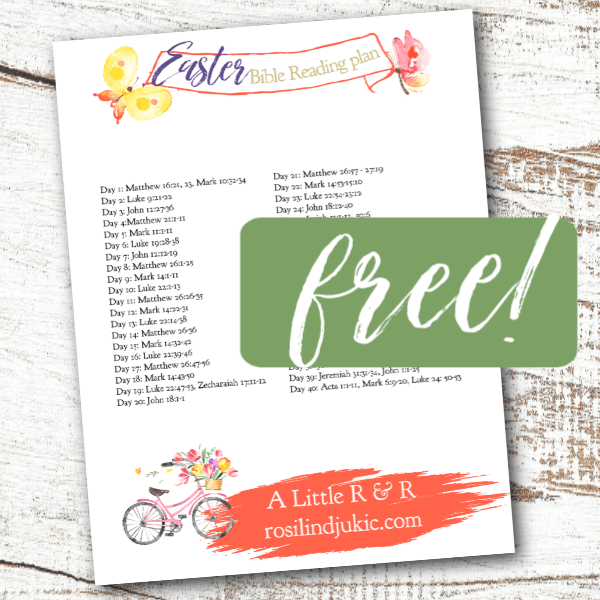 Here is a one more great resource to help your children get into God’s Word! Thanks for sharing this. It’s very timely.